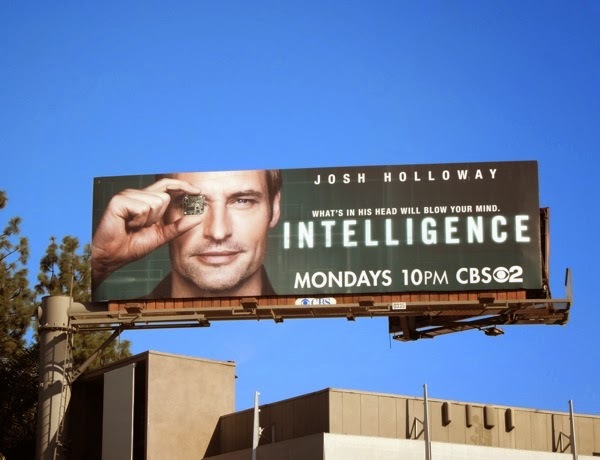 Josh Holloway has been (pardon the pun) 'Lost' for too long from our screens after winning hearts and fans as 'Sawyer' in the aforementioned series and dazzling audiences as the short-lived IMF Agent on the big screen in 2011's Mission: Impossible - Ghost Protocol. 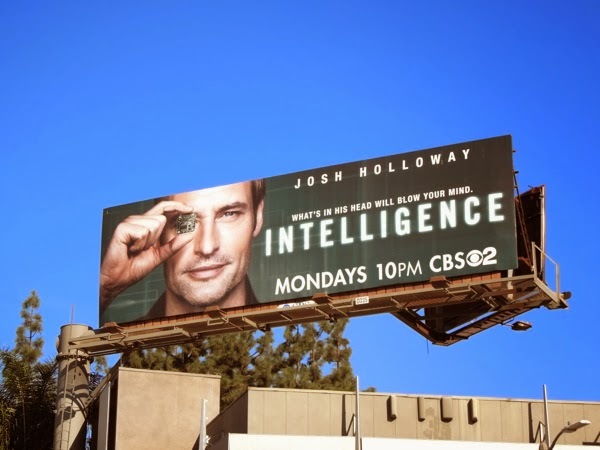 Fortunately he's back and chasing after that elusive leading-man role in new 'spy-fi' thriller for CBS, Intelligence. This time the handsome wise-guy plays secret agent 'Gabriel Vaughn', who has super-computer microchip implanted in his brain which gives him fantastical abilities. Welcome to protecting America in the cyber age. 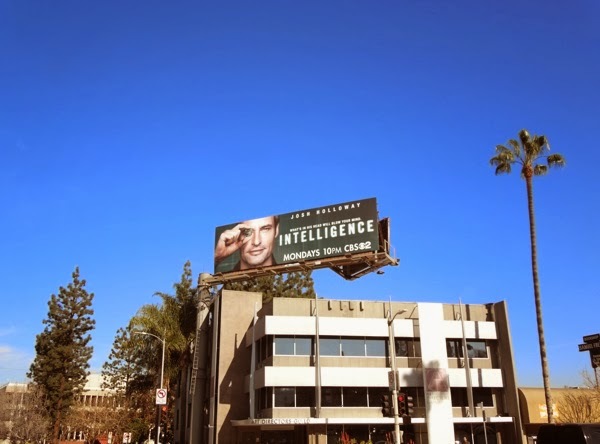 This series premiere billboard for Intelligence was spied high above Ventura Boulevard in Studio City on December 31, 2013. 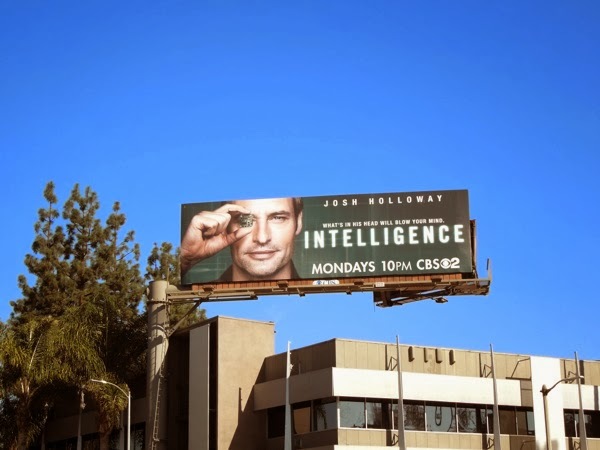 Let's hope this new show for 2014 has the smarts to break free of the traps of predictable episodic TV and won't be another mediocre, by-the-numbers crime show. Go on, we dare you to blow our minds.